Tofanelli Winery farms their vineyards primarily on a 40 acre estate set right behind (north of) Sterling Winery and next to Girard Winery. 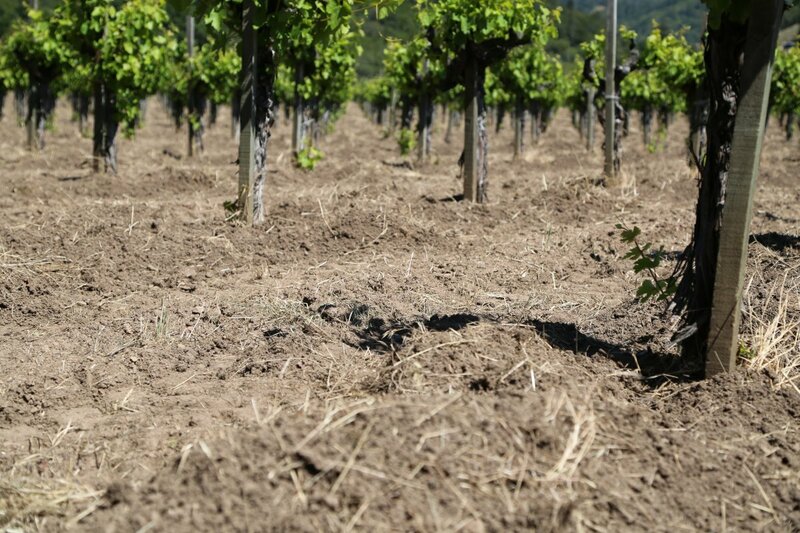 Napa Valley native and long time farmer, Vince Tofanelli carefully tends to these old vines. Much of the vineyard was planted in the 1929/1930 growing season by his grandparents Sebastian DiGiulio and Irene DalPorto and a majority of these original vines remain. His great grandparents also owned a property near the town of St. Helena. This property has been within the family for many years and originally started out with grapes, prunes and walnuts. Vince took over the vineyard management in 1977 after Sebastian passed away. 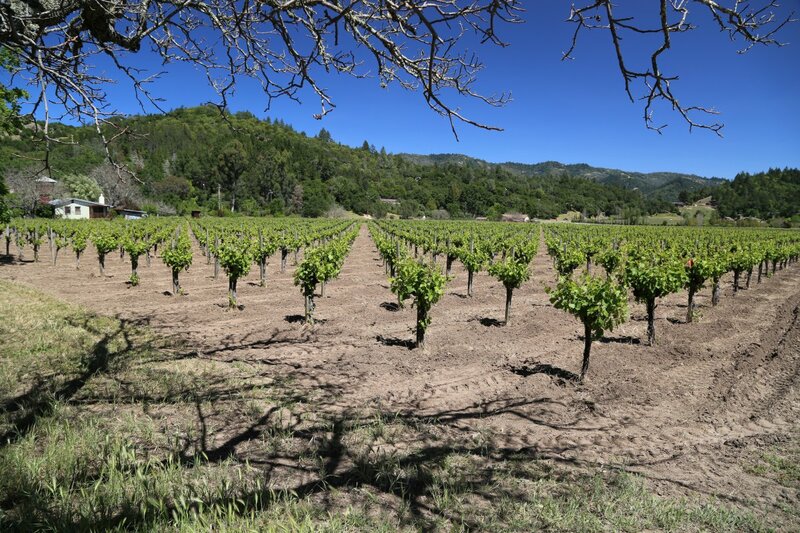 The family used to make home wine from the vineyard and over the decades its fruit has been sold to a number of premium producers (as of our latest update to this review some of the grapes are sold to Duckhorn, Chateau Montelena, Helen Keplinger and Thomas Brown). Previous buyers have included Turley, Spottswood, Schrader, Orin Swift and Neyers. 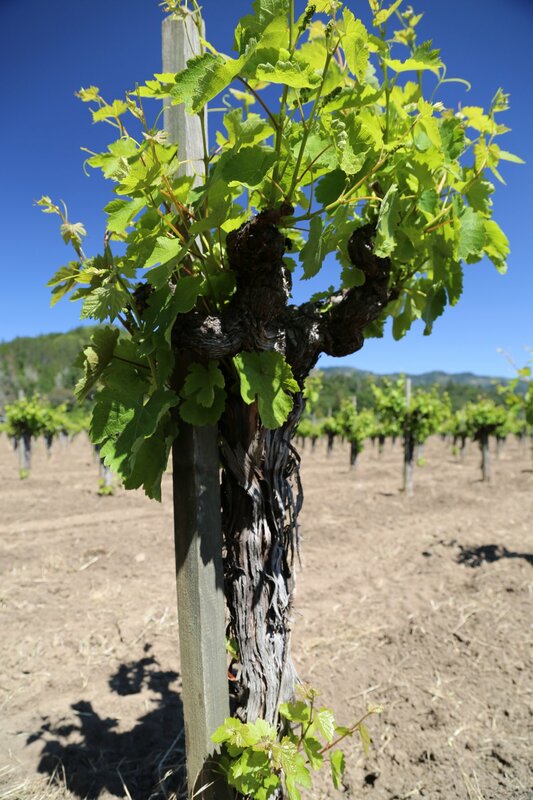 This is one of the best very few remaining examples of pre-WWII vines and grape growing in Napa Valley – no trellising is used here at all, rather the vines are “head trained” so the vines drape over the center of the plant. You won’t see the trellising wires that much of the Napa Valley vineyards are now grown on. 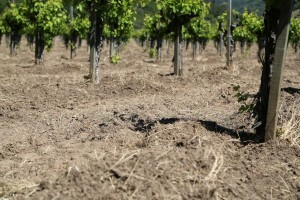 Additionally, the vines are dry farmed- the soil is tilled to 5 or 6 inches in depth which acts as an insulating layer and keeps the deeper soil somewhat moist even throughout the hot summer months. If its dry, pick up some of the soil in your hands as we did. Its rich and very fertile. 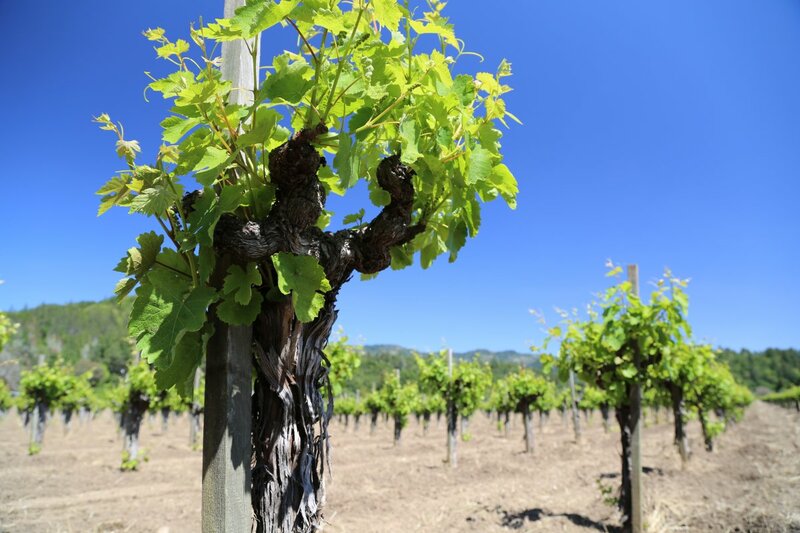 Tofanelli was never one to to use herbicides and pesticides – they’ve stayed true to their roots so to speak and are among the longest organically farmed vineyards in the valley. You don’t need to be certified if you know you have been farming organically since day one on a vineyard that is fairly sizable. 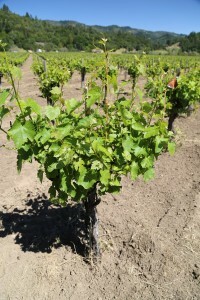 Vince’s philosophy is that farming balanced vines will produce balanced wines. He strives to create wines that show some restraint, food friendly approachable wines in their youth but also have the components of being able to age. Tofanelli specializes in several wines – Charbono, Petite Sirah, Sémillon, Zinfandel and an intriguing Solara port-style dessert wine with vintages doing back many years as part of the bottling (approximately 500 cases of all the wines are produced annually). Very few Napa Valley based wineries produce Charbono and Tofanelli’s is an excellent example of what you can do with this varietal. 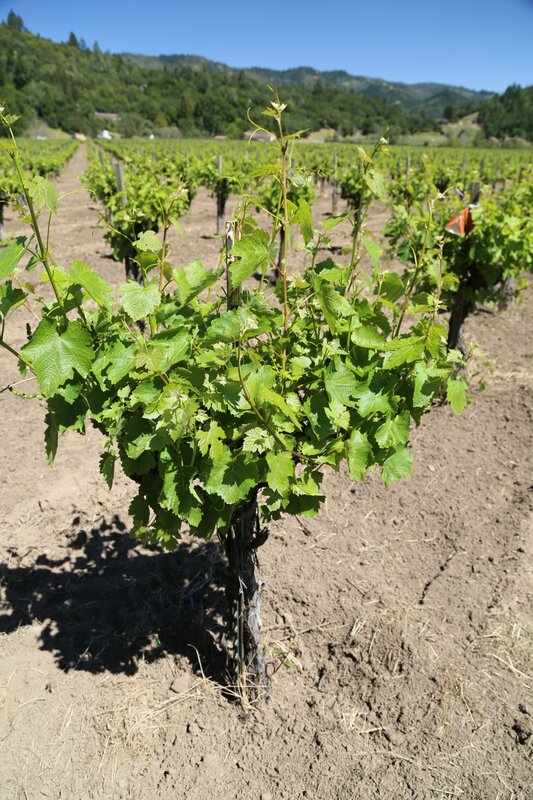 Charbono needs warm weather to ripen fully – it often doesn’t reach maturity in cooler climates – Calistoga is ideal for growing this varietal. It is also a wine that Vince speaks of as being ‘thin’ in the mid palate – he carefully choose the type and toast of oak barrel to help add some texture to this wine. The 2015 Tofanelli Charbono offers a darker fruit bouquet complemented with notes of dark chocolate and floral aromas including violet. This wine is fairly well balanced with excellent acidity. 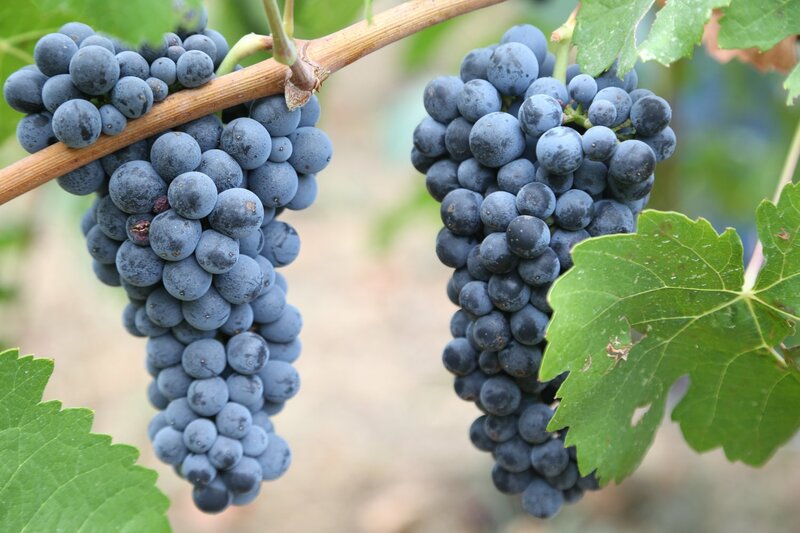 The tannins are noticeable but of an appealing texture; they are powdery fine, almost like the feel of flour. The 2005 Tofanelli Zinfandel is a rich wine and if you let it sit for a while it will really open up both in aromas and on the palate. It explodes with fruit flavors yet also retains an elegant side. Nice blackberry, black cherry and a characteristic Zin spiciness. Just look at the diversity of varietals grown here – Charbono, Sémillon, Carignane, Grenache, Mondeuse Noir, Cinsault, Petite Sirah and Zinfandel. Yes, this vineyard is in Napa! 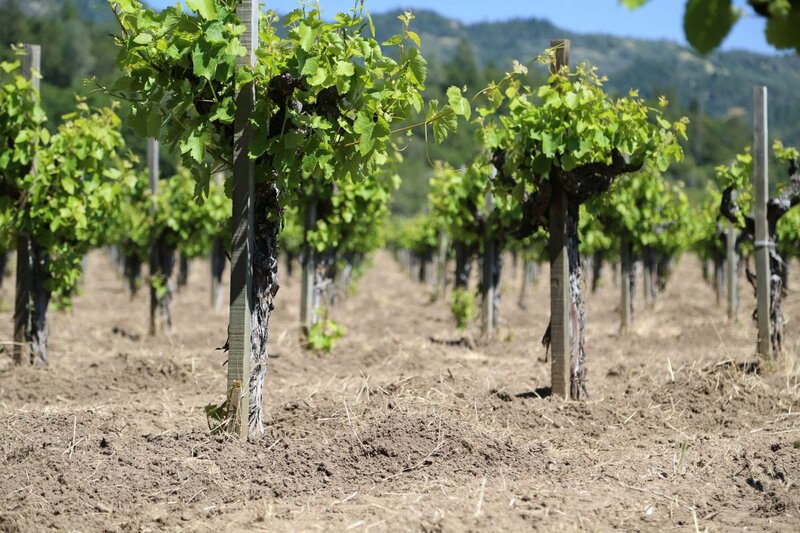 With the exception of Jarvis Winery’s experimental vineyard, we guarantee you won’t find this type of varietal selection at any other Napa vineyards. The 2008 Tofanelli Zinfandel shows a lot of fruit on the nose – blackberry, boysenberry – almost a candied fruit characteristic. The fruit is focused and rich on the mid palate with lingering notes of both fruit and alcohol on the finish. The tannins are more refrained and somewhat delicate. The wine is 15.5% alcohol. Petite Sirah is a varietal that often produces wines of power and intensity – so much so that sometimes the tannins can overwhelm one’s palate. Vince is very careful about how he crafts this wine – with the intent to manage the tannins by both stirring the wine on the lees and often blending a slight bit of Grenache into the final blend. 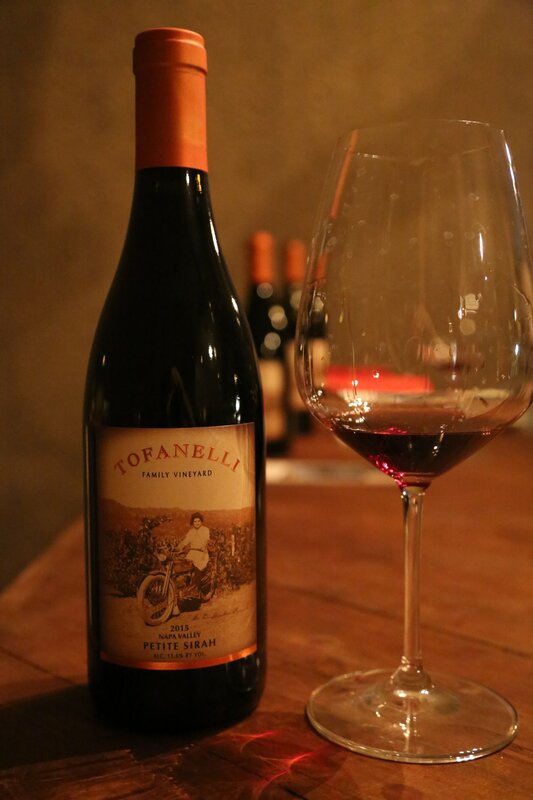 The 2012 Tofanelli Petite Sirah is shows red with purple tinges in the glass with a pronounced floral quality to the bouquet (violets and dried rose petal). This wine delivers a richness of flavor yet is also well balanced with acidity and tannin structure. The tannins are not course but certainly noticeable – somewhat dry with lingering notes of red cherry and just a hint of mocha/toffee on the finish. Local premium producers recognize Tofanelli’s commitment to quality and purchase fruit including winemakers Thomas Brown and Helen Keplinger. Vince maintains a tiny bonded winery in the back of his home but makes his wine at a nearby winery. And Vince’s hands are part of Napa’s prominent label lexicon. Karen, the owner of ACME Wines in St. Helena knew that vintner Dave Phinney was looking for a photographer to shoot an image for one of his new labels. Karen knew photographer Greg Gorman and when she told him of the project – he was immediately intrigued having already been familiar with Orin Swift Cellars and some of the wines that Dave produced. Agreeing to the photo shoot in exchange for wine – Greg held the photo shoot in Dave’s offices in downtown St. Helena. Vince came down to the office along with a tattoo artist who created a temporary tattoo on his weathered hands. Greg recalls the lighting on the day of the photo shoot was excellent with sunlight streaming in through the upstairs office windows (and not needing to add much in the way of artificial light). 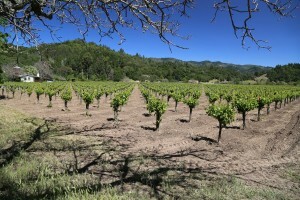 The resulting image is now one of Napa’s most iconic and recognized labels, Papillon. 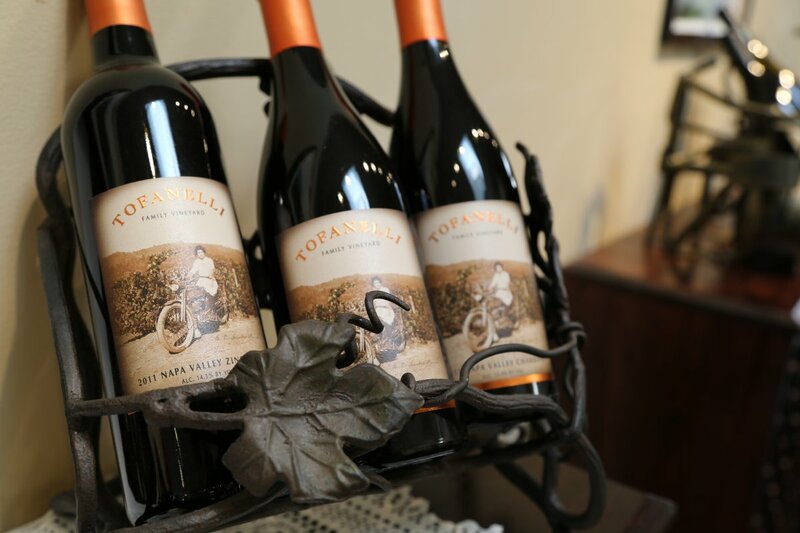 For several years, Tofanelli was a part of a shared tasting room called Up Valley Vintners in downtown Calistoga however this tasting room closed in late 2016. 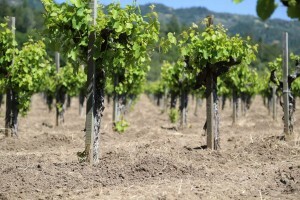 And while Vince no longer hosts tastings at his vineyard in Calistoga he can arrange tastings at the production winery where he crafts the Tofanelli Wines.